Session 373. Hampton delivered again! Late afternoon sea breeze of around 17 knots provided some good kitesurfing for myself, Stu and James. I did my first kiteloop in the air! It was an anti climax though as I just seem to float down like a normal jump. I will try one with more wind next time. The Nugget really is great for these lighter winds. 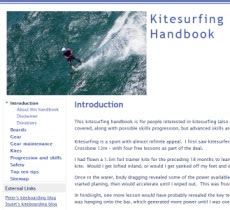 Daylight saving is now over so evening kitesurfing will be more restricted now.